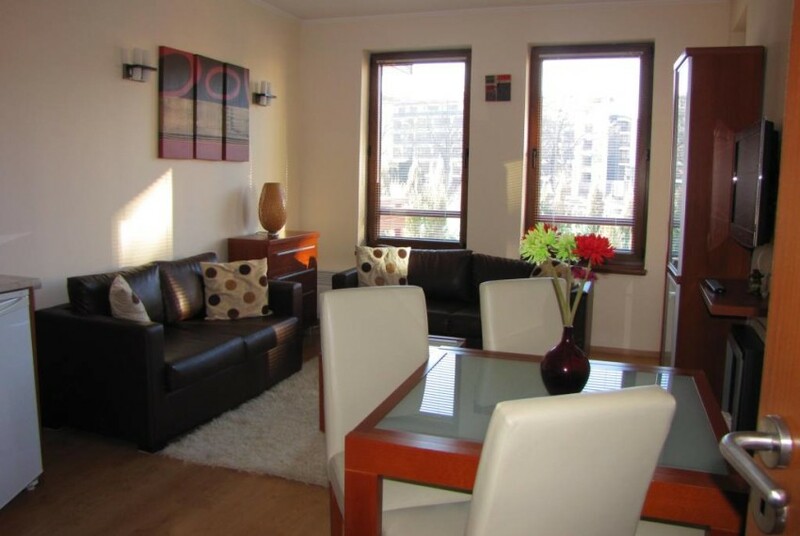 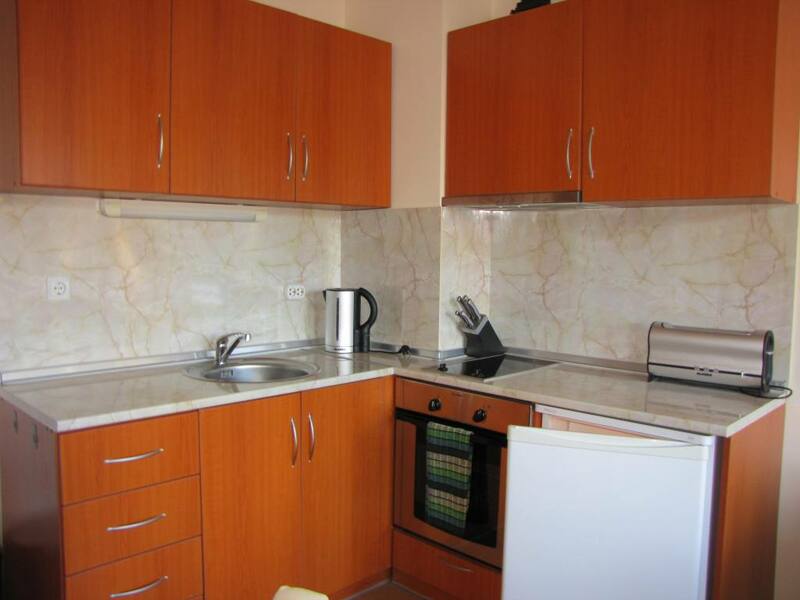 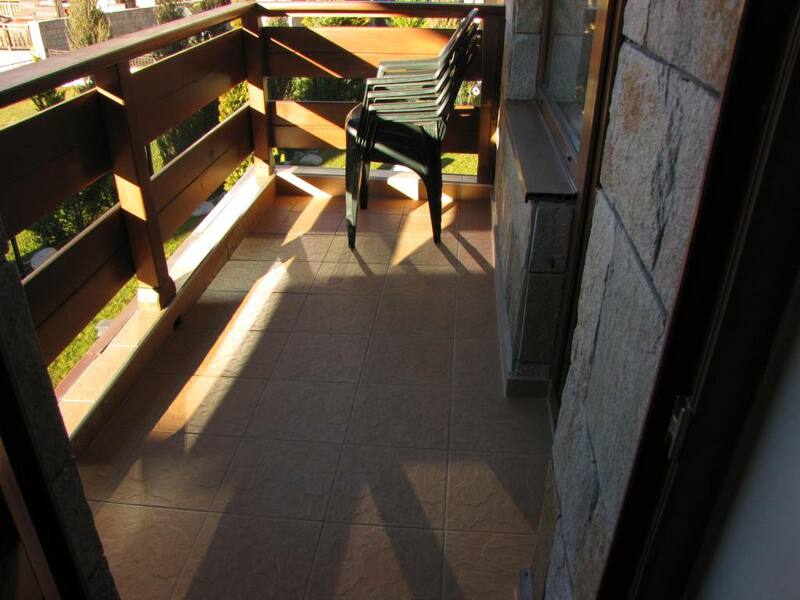 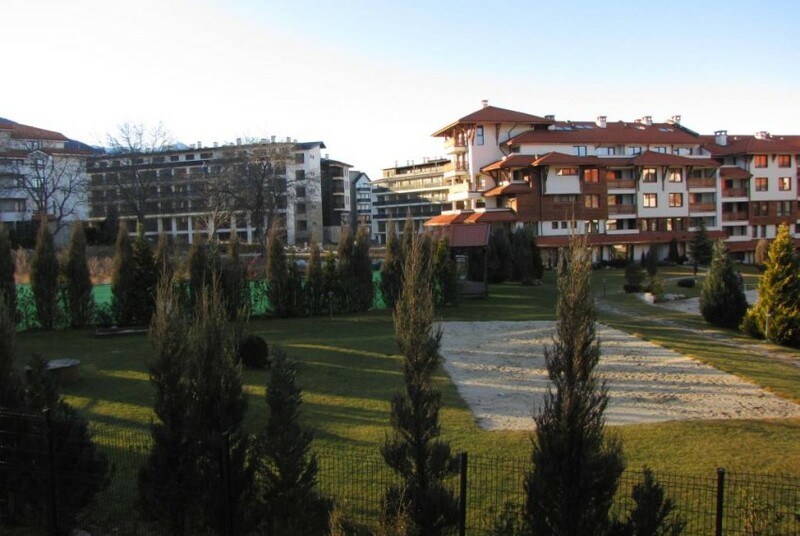 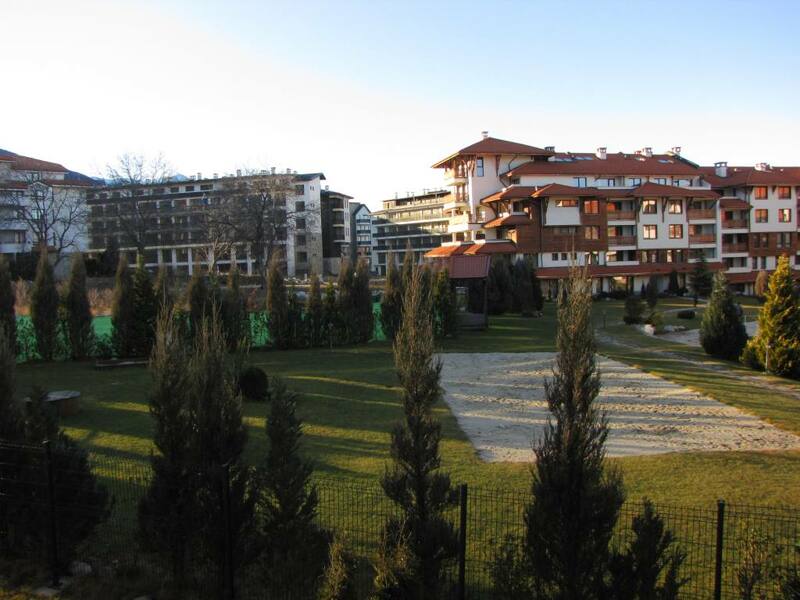 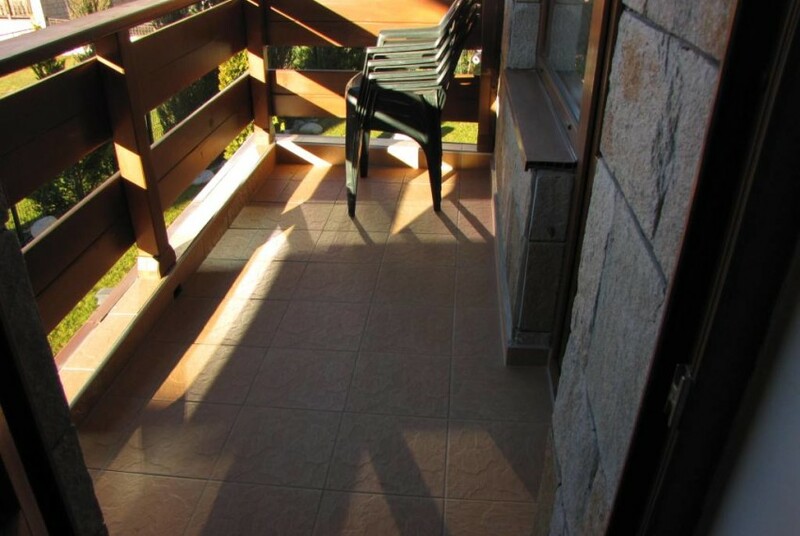 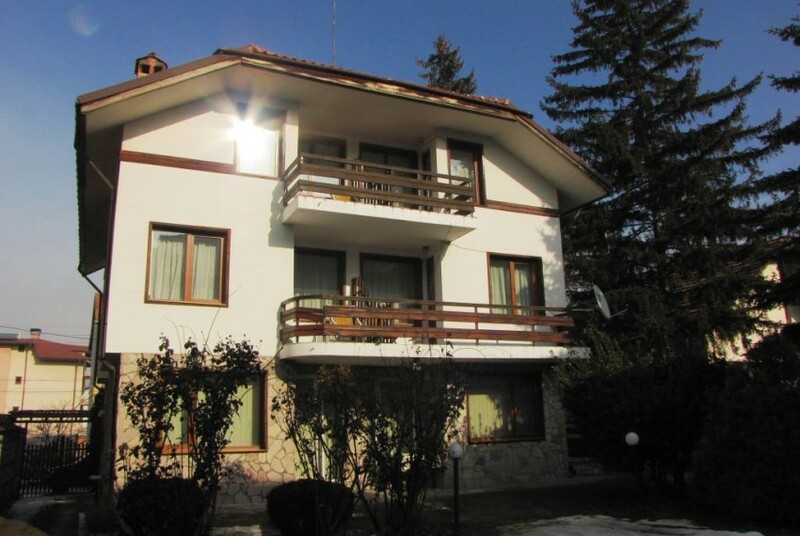 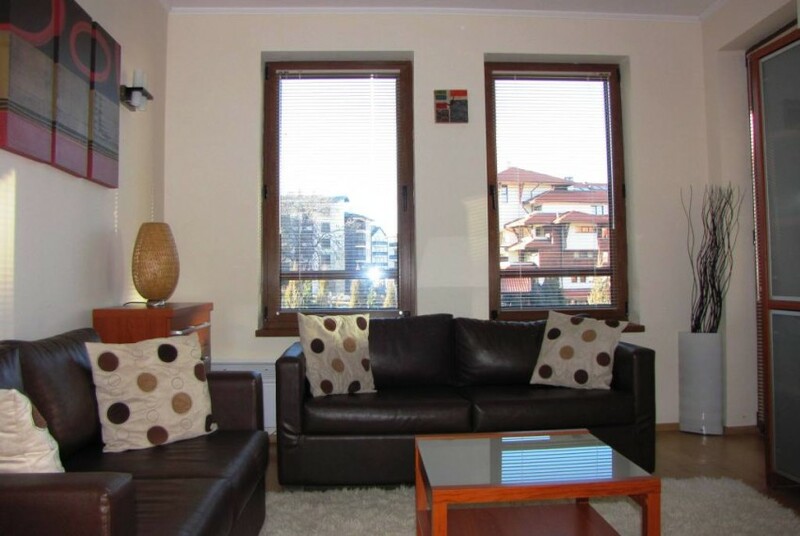 This is one of the few personally decorated 1 bedroom apartments for sale in Bansko. 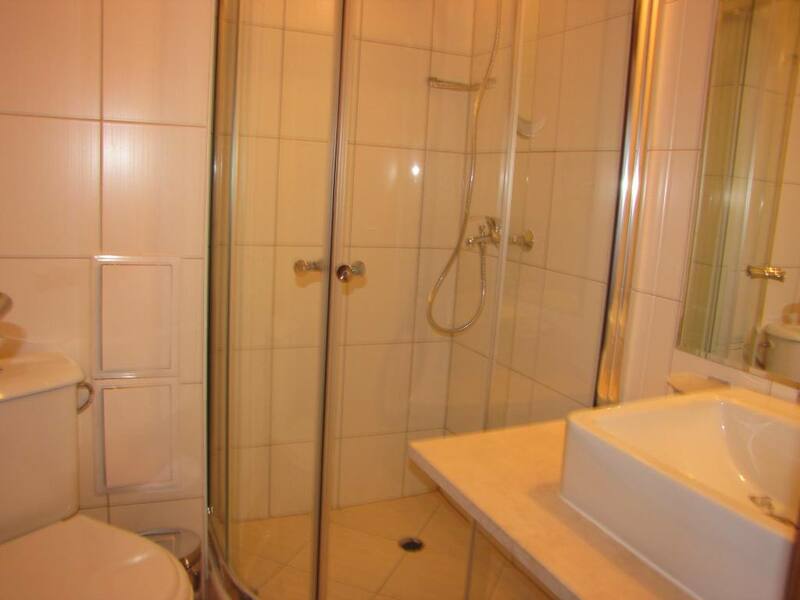 The owner has finished the apartment to a high standard and with attention to detail. 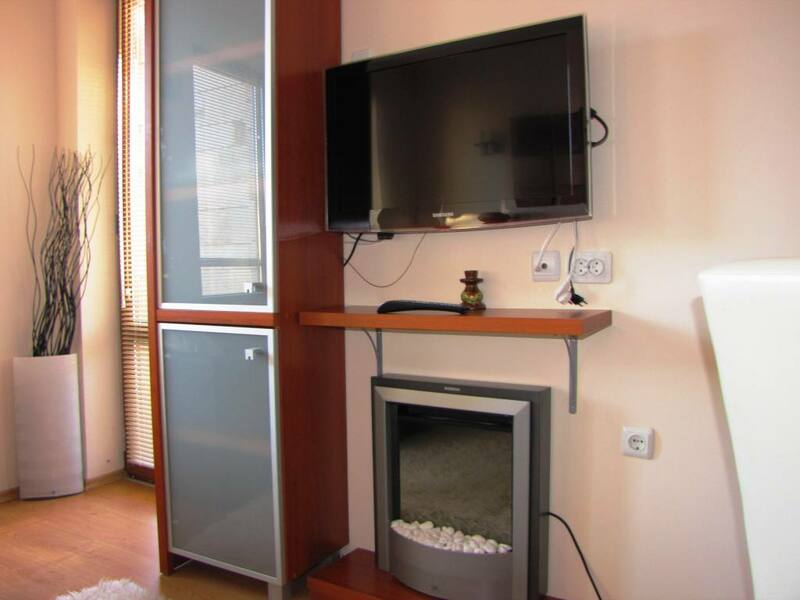 The old standard furniture package has been replaced with select furniture offering comfort and design. 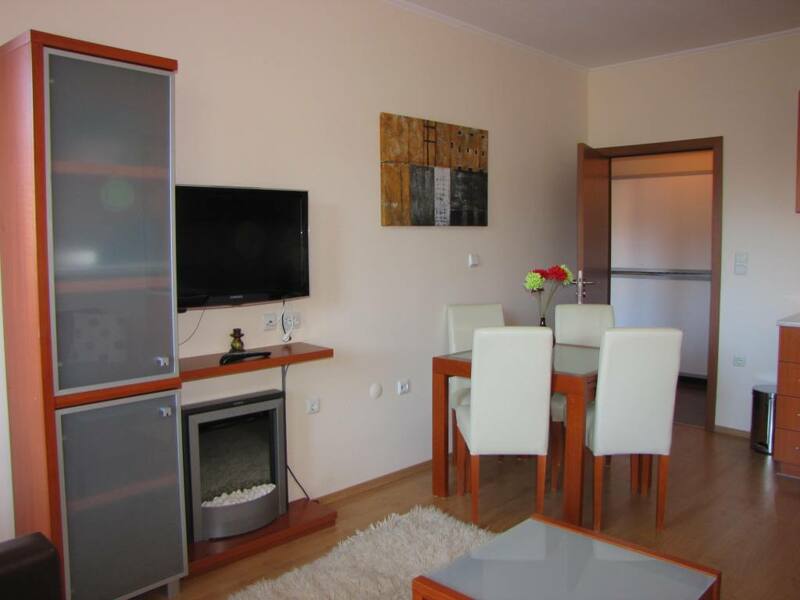 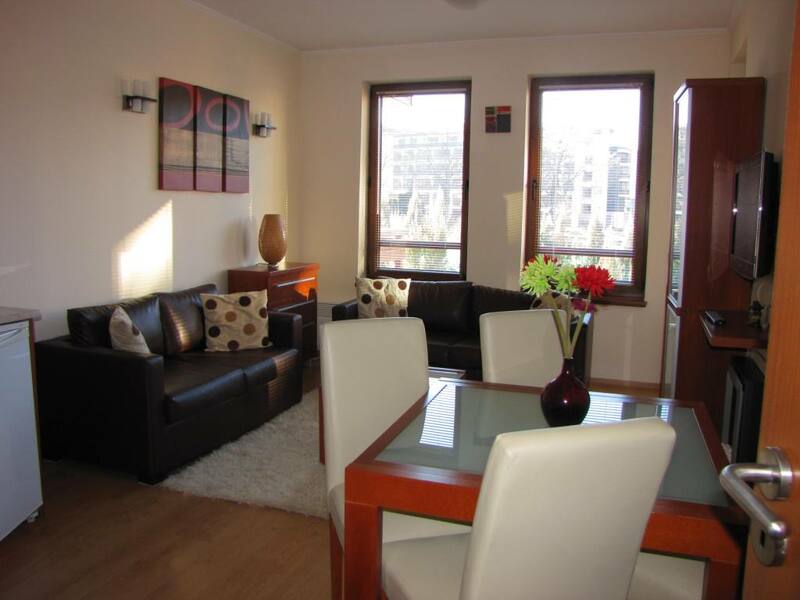 The apartment is full of features and nice finishing touches making it feel special and homely. As you enter the large hallway you can tell that a lot of thought has gone in to this apartment evidenced by installation of 2 wall mounted sturdy bunk beds suitable for children and adults which fold away neatly during the day. 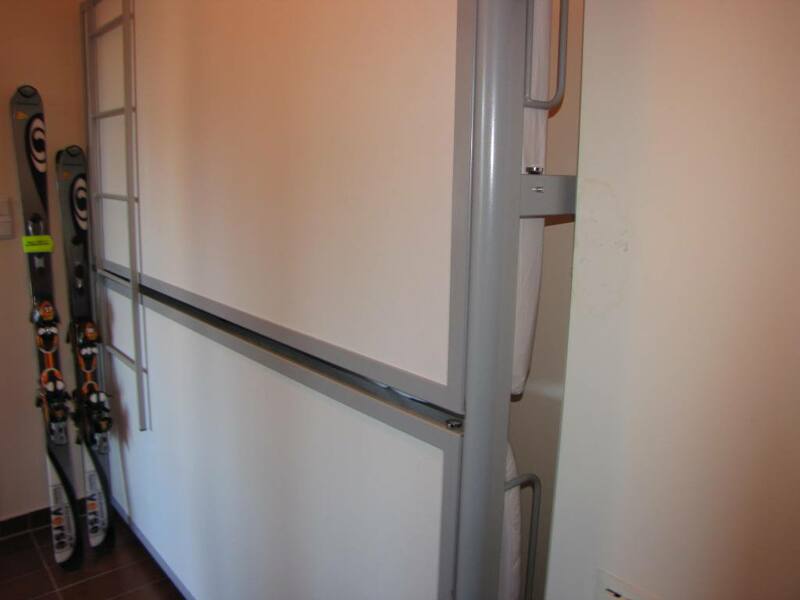 The hallway also has a storage cupboard and shelf placed up high ideal for suitcases and ski gear in the summer. 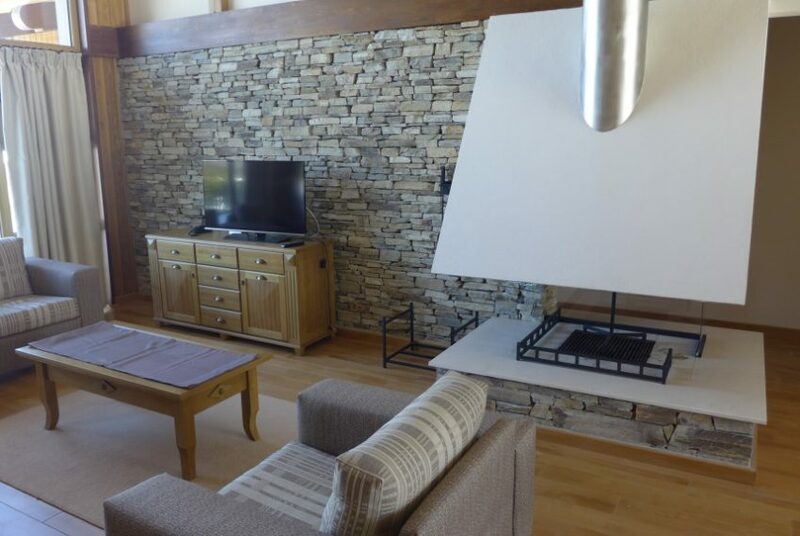 As you enter the living area there is a lovely dining table and chairs beside an electric fireplace which is a lovely touch giving the warmth of flames without the mess of a regular fire. 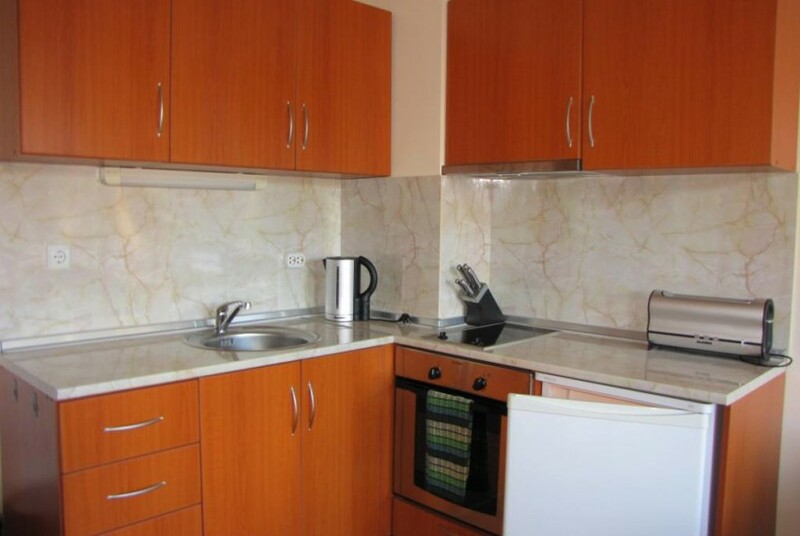 To the back is the kitchen fully equipped with hob, oven, fridge, sink etc. 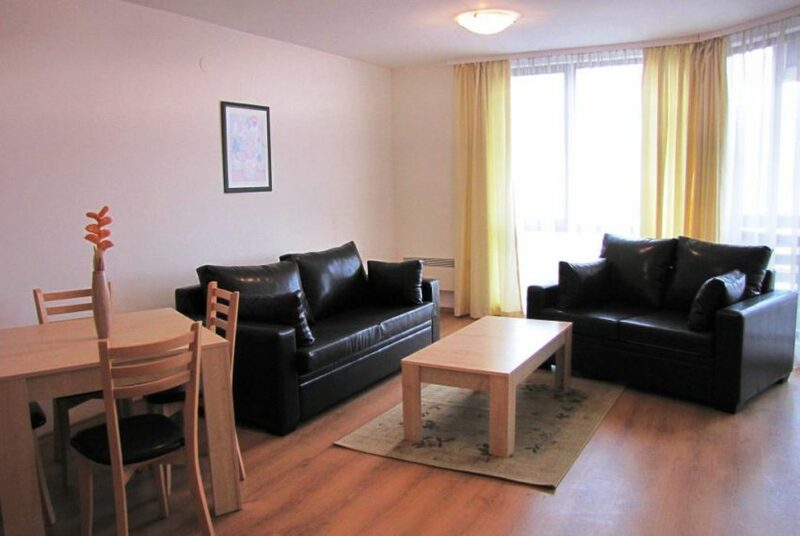 There are 2 leatherette sofa beds in the living area together with a flat screen wall mounted TV. 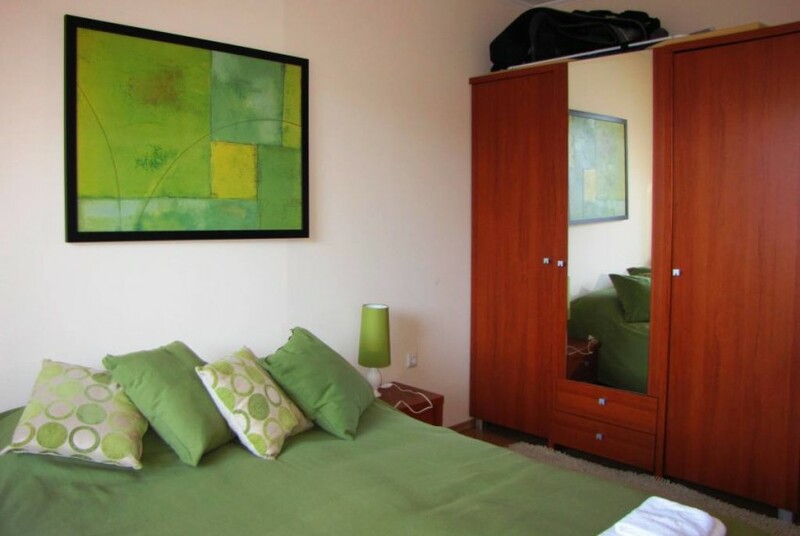 The bedroom is large and has a double bed, wardrobe, chest of drawers and mirror. 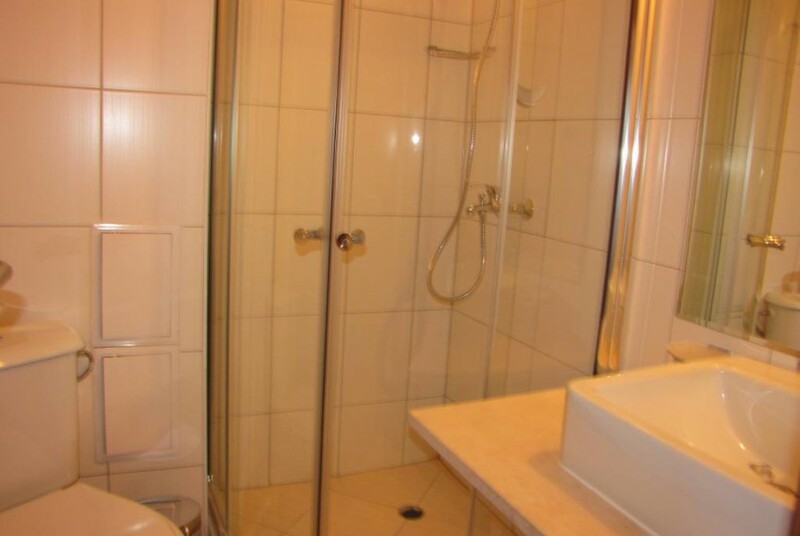 The bathroom is tiled ceiling to floor and has toilet, basin, mirror and shower cabinet. 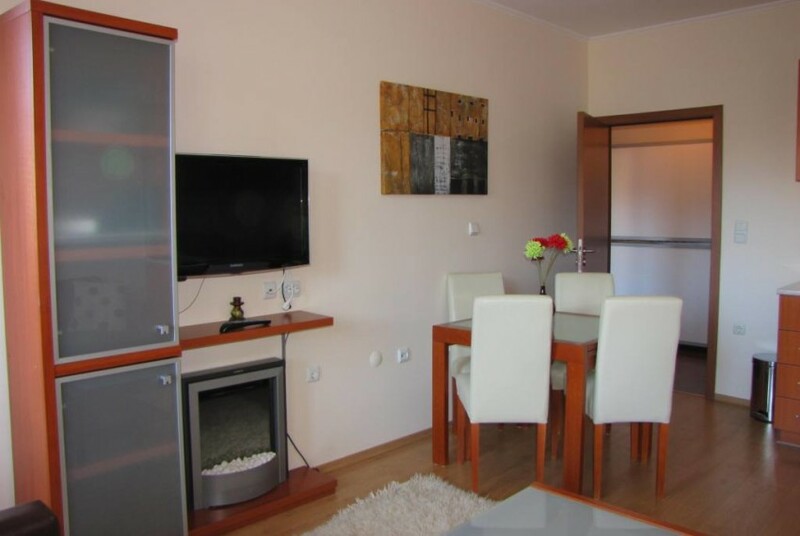 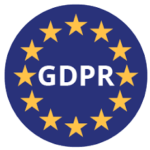 The apartment has independent heating and hot water already installed so you can use it anytime you want and will only pay for what you use. 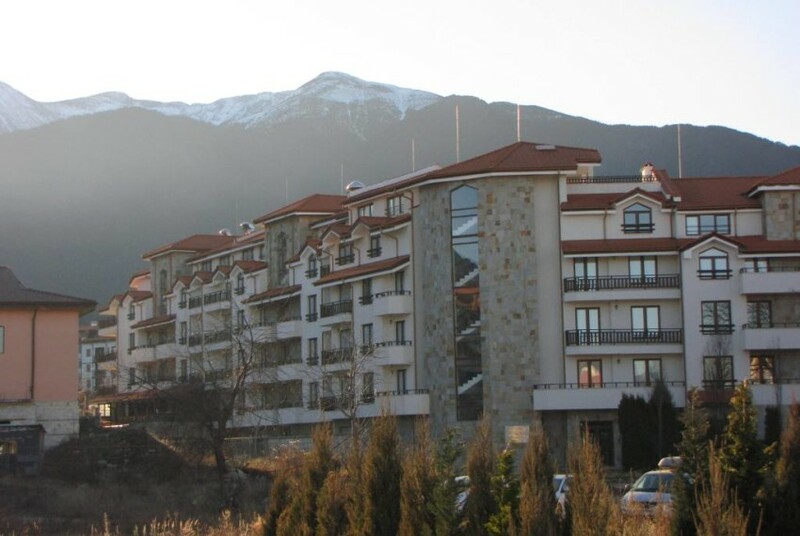 There is a good sized balcony which is west facing with views of the mountains and the recreation area of Bansko Royal Towers complex. 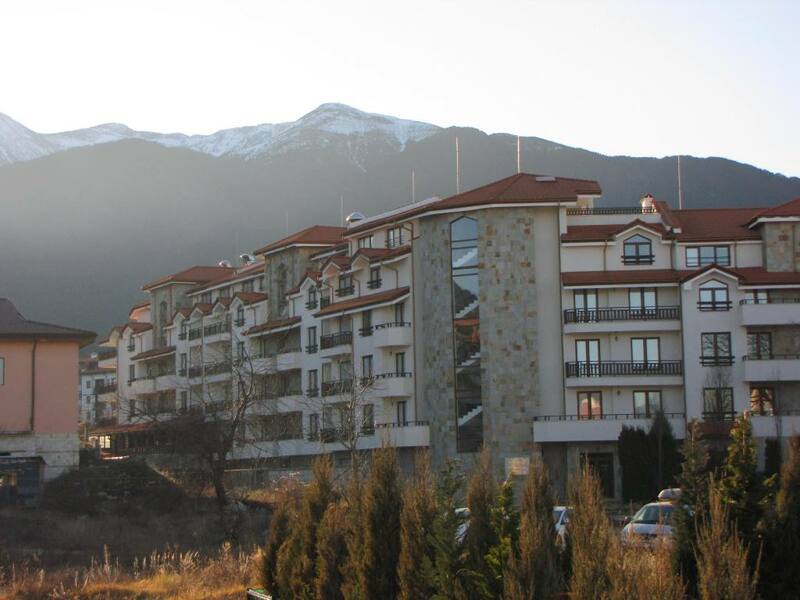 Cedar Lodge complex is in a great location being just beside the Ski Lift/Gondola and very close to shops, restaurants, ski hire, bars, clubs and a shopping mall. 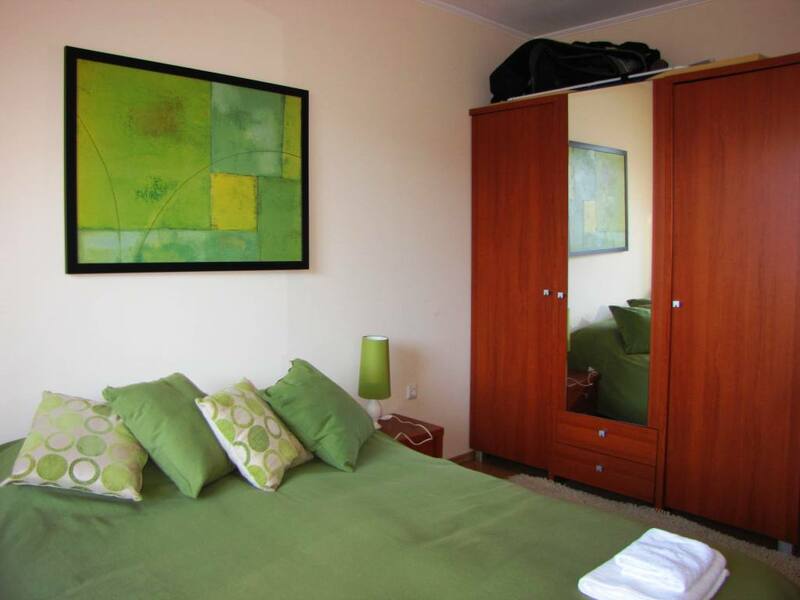 The complex is very well run and managed yet has relatively low annual maintenance fee. 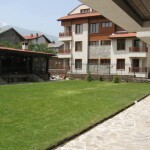 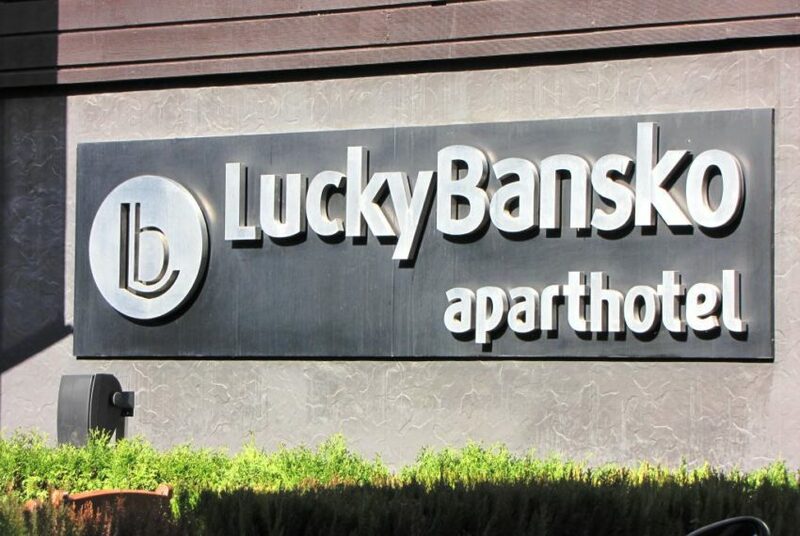 The perfect base in Bansko, everything has been done for you. 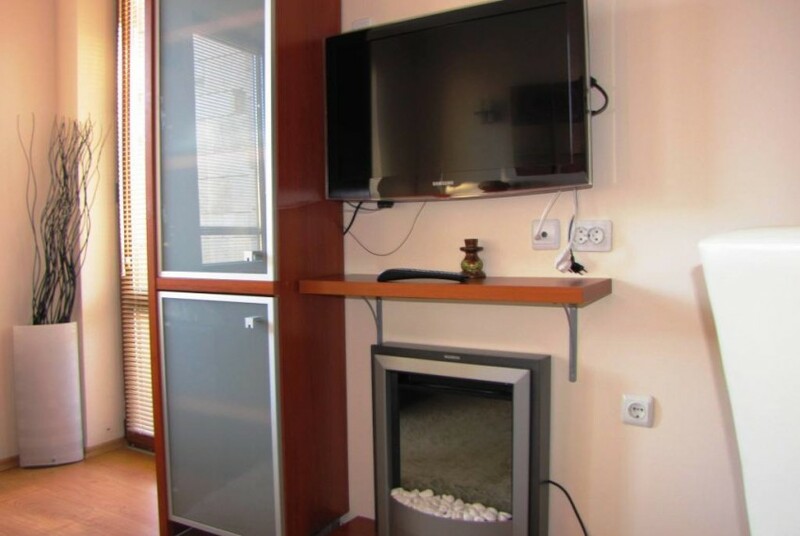 You just need to bring your suitcase or start renting it out. 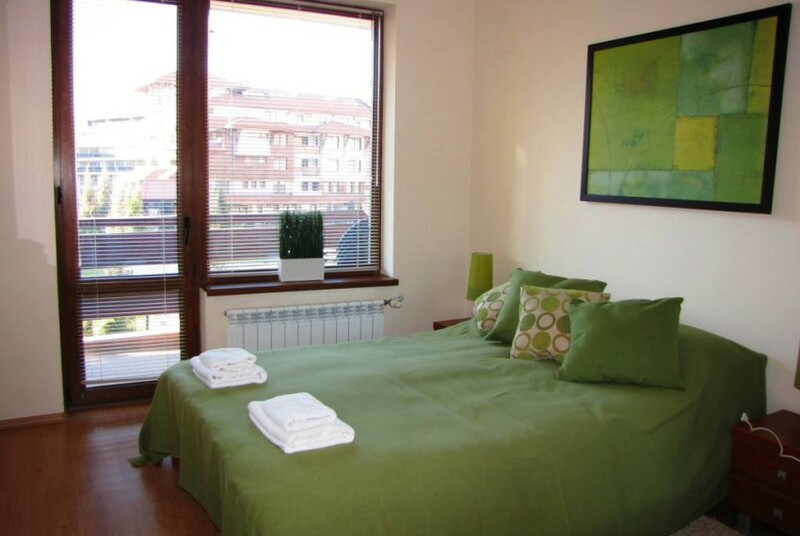 The apartment can sleep 6. 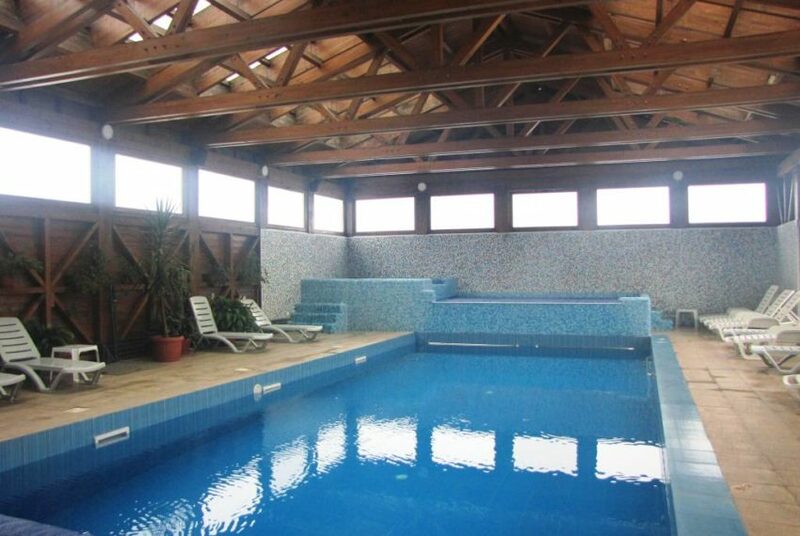 There are not many 1 bedroom apartments for sale in Cedar Lodge 3 which makes this one even more attractive.